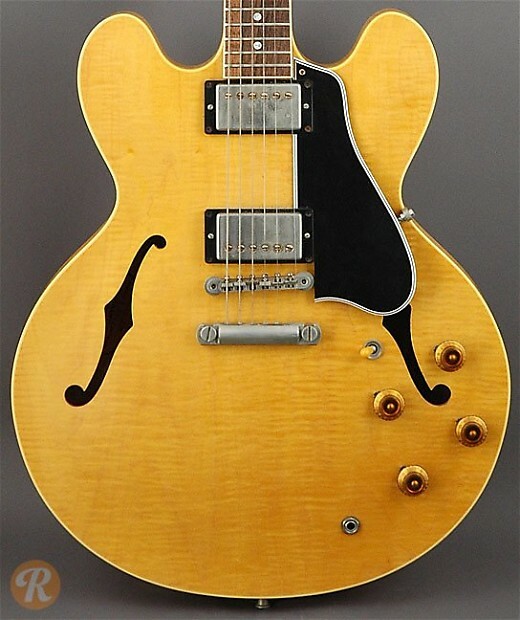 The Gibson ES-335 was introduced in 1958 and has remained in production in various forms ever since as one of the company's most iconic models. Starting in 1981, the model was referred to as the ES-335 Dot in reference to its use of dot inlays like the original models from the late '50s. In 1990, it was renamed the ES-335 Reissue. 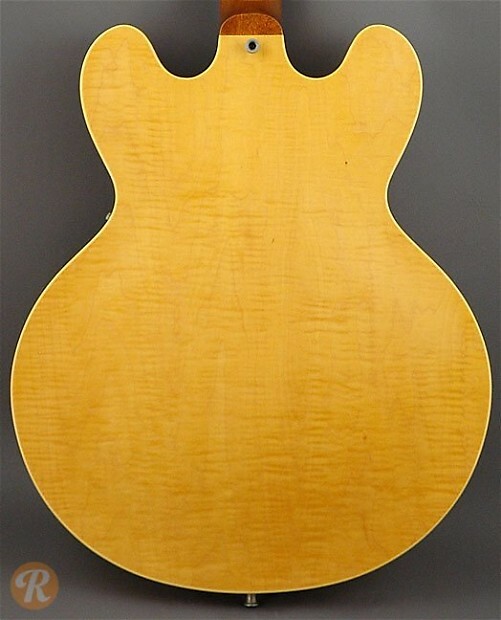 Natural was reintroduced in 1994 for the ES-335, and is generally considered a slightly more valuable finish than Cherry or Sunburst. Values can increase with higher levels of figuring in the wood.